Brainstorming ideas for a perfect landscape can be fun. Inspiration is everywhere! But where do you find the right visuals to share with your spouse, and perhaps your landscaper, to ensure you get the result you want? Here are two websites bursting with photos of interesting designs, plus DIY tips and expert suggestions. On your mark, get set, start pinning! This photo sharing website is all about inspiring creativity. Open an account, search for any topic, then start exploring photos of backyard ideas, landscaping, gardening and garden design. If you like an idea, you can click on its link to jump to directions on how to implement it. You can also ‘pin’, or save, ideas for later. Awesome backyards: We found ideas for cozy stone patios complete with a fireplace and television; sheds that house small, homemade pubs instead of garden tools; and elaborate, multi-deck tree houses. Small backyard ideas: Discover big ideas for your small space, including cozy DIY fire pits, grilling stations with granite counters, and whimsical rocked pathways painted with glow-in-the-dark paint. Garden crafts: Show off your inner Martha Stewart with these impressive projects. Some of our favorites include mosaic table tops, recycled silverware transformed into dragonflies, and colorful glass plates turned into garden flowers. Fence decorating: From murals that span the entire back fence to hanging art and vertical gardens, your fence may become your favorite point of interest. 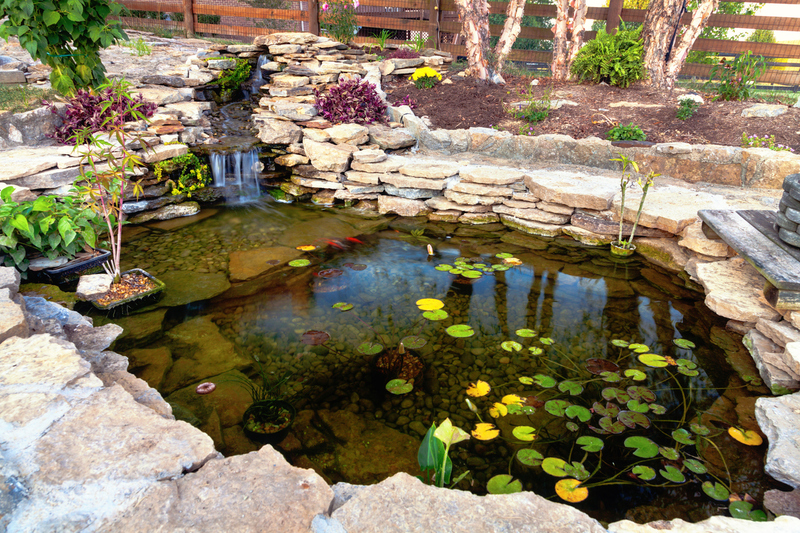 Add the feeling of tranquility to your yard with a beautiful waterfall and pond. Backyard waterfalls: There are plenty of ideas for bring the tranquility of water features into your space, from simple trickle-down waterfalls to multi-tiered waterfalls that empty into fish ponds. Backyard game areas: The outdoors was made for games! A bocce court, a four-in-a-row board that stands four feet high and a lawn bowling alley are just three of the seemingly unlimited number of ideas for luring the entire family outdoors. Backyard decks: Whether you envision an unusual shape, a pergola for shade or plenty of seating for all of your family and friends, you’ll find ample outside-the-box inspirations here. 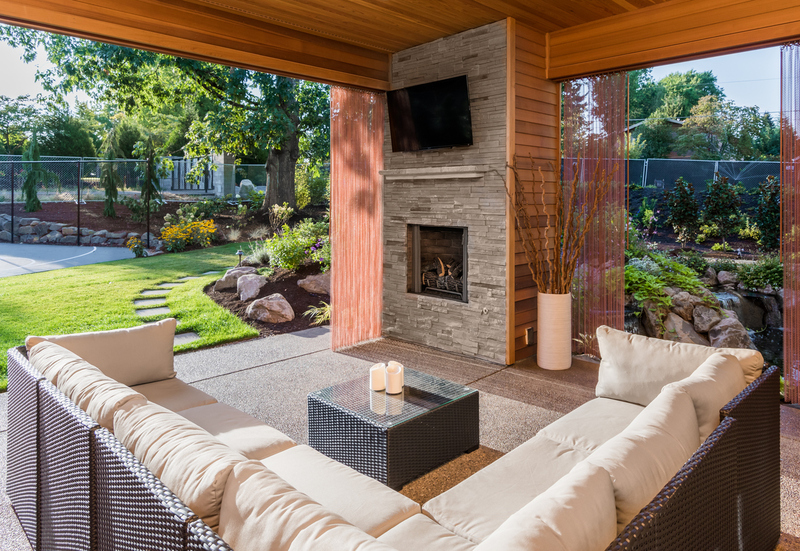 Create the backyard of your dreams with tips, tricks and inspiration from Houzz. 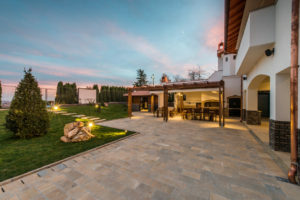 This website is a community of more than 40 million homeowners, landscaping enthusiasts and home improvement professionals. In addition to having millions of photos, Houzz now features the GardenWeb Forums, which comprise the internet’s largest community of gardeners. You can read and participate in useful discussions on a variety of landscaping topics ranging from accessible gardening to hummingbird gardens and organic rose growing. If you have specific turf and lawn questions, the easiest place to start is by asking our experts. Join our Facebook page for timely tips, and follow our blogs for other strategies for maintaining the best yard on your block. We’re here to help.